Mogador is the Portuguese name for the Moroccan town of Essaouira. On Eid Al Istiqulal — Morocco's Independence Day — we look at one of Morocco's leading female poets, Aïcha Amara. Bouteille a la mer is from the 1996 collection of themed poems, Mogador fille d'aylal (Mogador: Daughter of Aylal). We came across Aïcha and her poetry in Essaouira, Morocco in 2011. 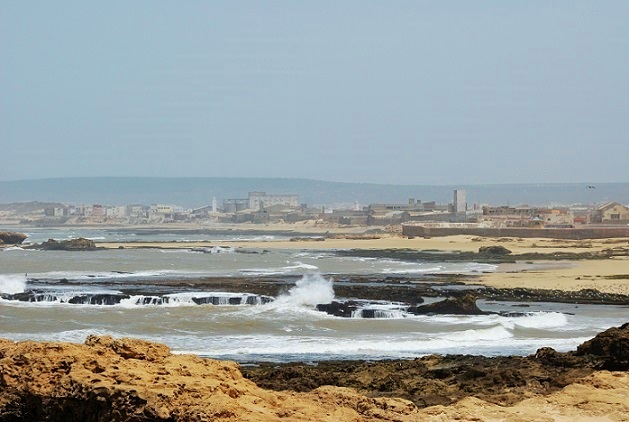 Mogador is the Portuguese name of Essaouira which has been occupied as a settlement since prehistoric times. The purple dye in Roman senatorial togas came from the purpura shells found off Essaouira. Aïcha is also the author of Safi & les odyssées de Thor Heyrdahl. The English translation of Bouteille a la mer by the Bar None Group follows. Said one of your illustrious children. A town that was maintained with the utmost care and attention. Sadly stripped of its grandeur. Throw away his cheap clothes. At the depths of your decline. To the keepers of your conscience. From my ashes I will rise again.